I have had a taste for lentils, but wanted to create a sauce with a different flavor profile than my Caponota Red Lentils or Lentil Salad. What came to mind was a dish reminiscent of saag paneer. I toyed with the idea of adding spinach to my Madras Curry Lentils but ultimately decided to keep the dish about the lentils and streamline the sauce. The sauce for saag paneer often has a blend of garlic, fenugreek, garam masala, turmeric, ginger, and cayenne pepper among other spices. I noticed that hot madras curry powder uses many of these ingredients, so as a time saving measure I opted to just use the curry blend. The heat of the spice is muted a bit by the cream sauce, but still added a good kick to the lentils. The addition of tomato and feta brightens and lightens the dish. 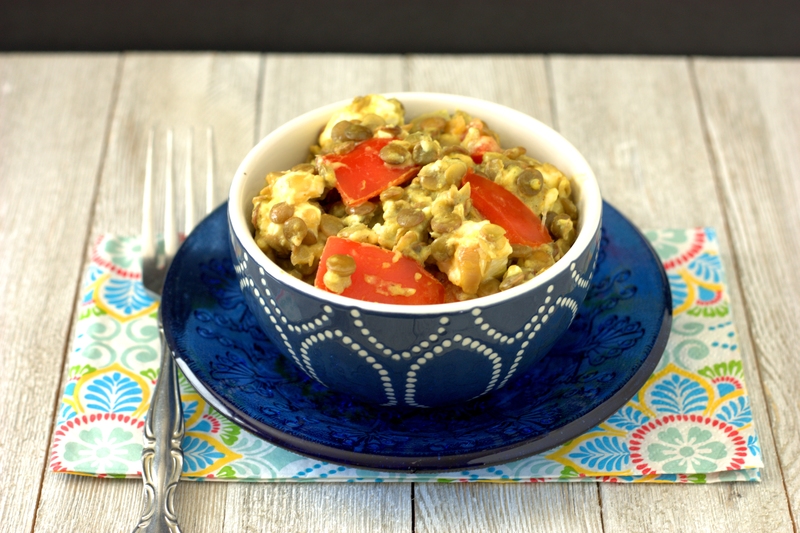 I also liked the creaminess that the feta added to the Madras Curry Lentils. 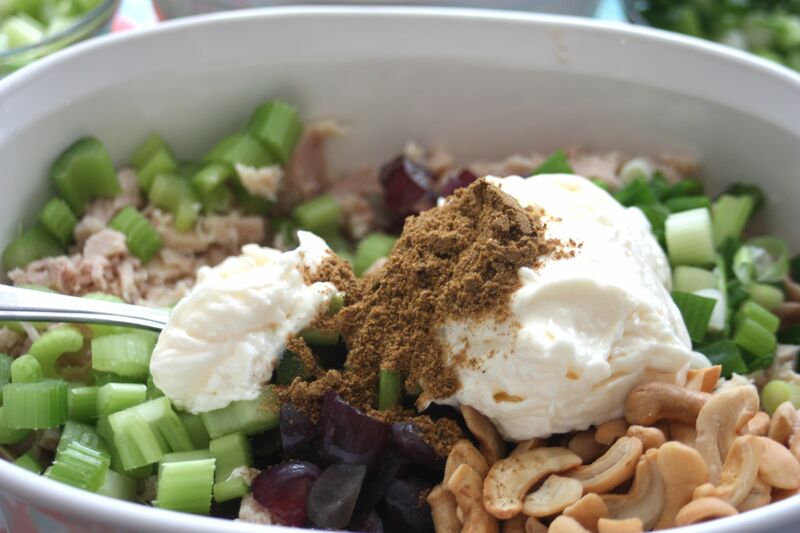 While seeking out and adding paneer would be more in keeping with the theme of the dish, I regularly have feta on hand and thought it made a great substitute. I’d love to hear about your variations on this recipe, whether cheese or curry substitution. 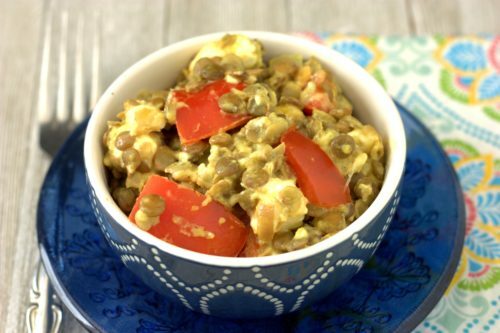 Place the lentils and water in a large sauce pan and bring to a boil. Reduce heat and simmer for 15-20 minutes, or until lentils are tender. In a separate, non-stick pan, melt the butter and add the shallots. Saute the shallots, stirring frequently, until the shallots begin to brown (about 8 minutes). Add the curry, salt, and half and half and bring to a boil, then add the flour and stir until thickened; remove from the heat. Drain the lentils and pour the curry sauce over the lentils, stirring to combine. Add the tomatoes and feta, stir to combine, and serve. A few years back, a good friend of mine brought a house warming gift when she visited me at my new home. It was a simple gift, but perfect in selection, since she new I loved to tinker in the kitchen and try new things. 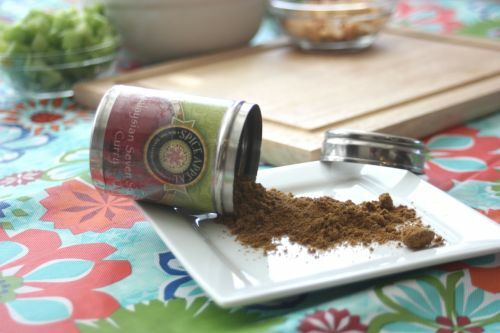 It was a jar of Malaysian Seven Seas Curry made by Spice Appeal, which she found at a craft and specialty food event. I absolutely LOVE the flavor, and often put it in my chicken or tuna salad, which I thought I would share today. The contents of the little jar have long been gone, but I managed to snag two industrial sized jars of it online to make sure I never run out again. Weighing in at a pound a piece, my replacement jars will make a ton of Malaysian Curry Tuna Sandwiches. Along with mayonnaise and a generous amount of the curry. 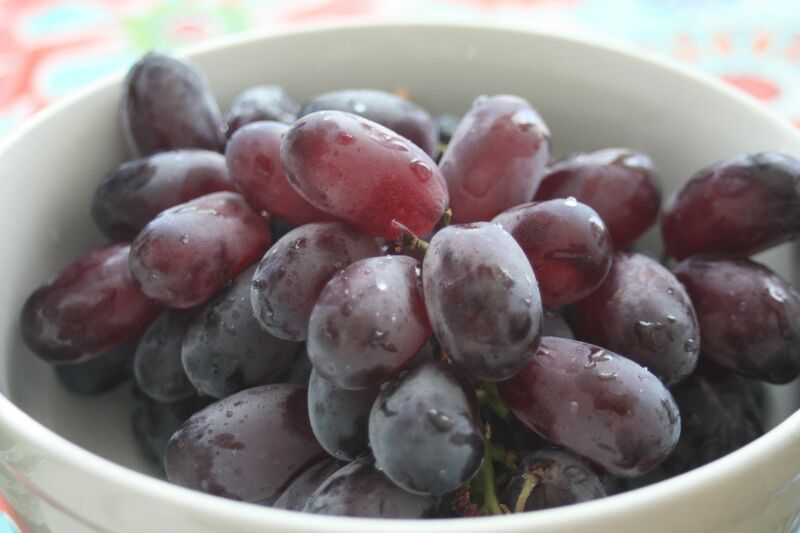 You might think the grapes are an odd addition, but they add a nice sweet compliment to the heat of the curry. 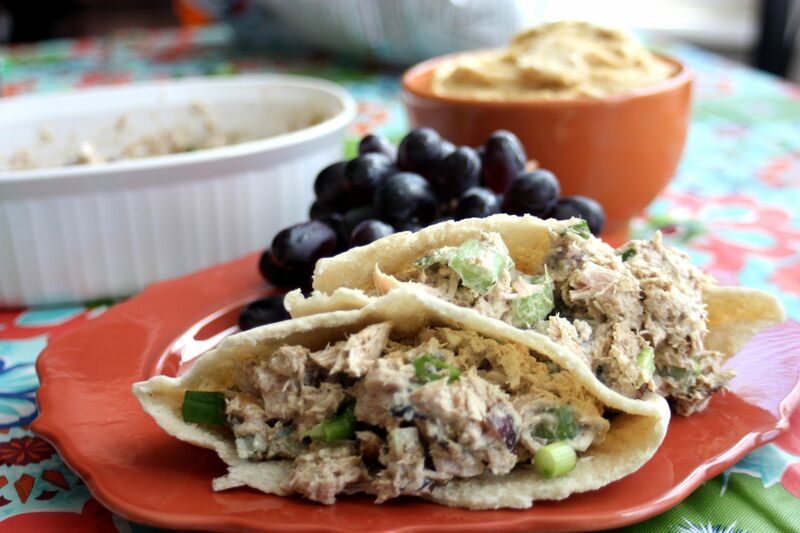 Once it is stirred together it gets served in pita pockets, and then you let your family rave about your delicious lunch. Can’t wait to try it? 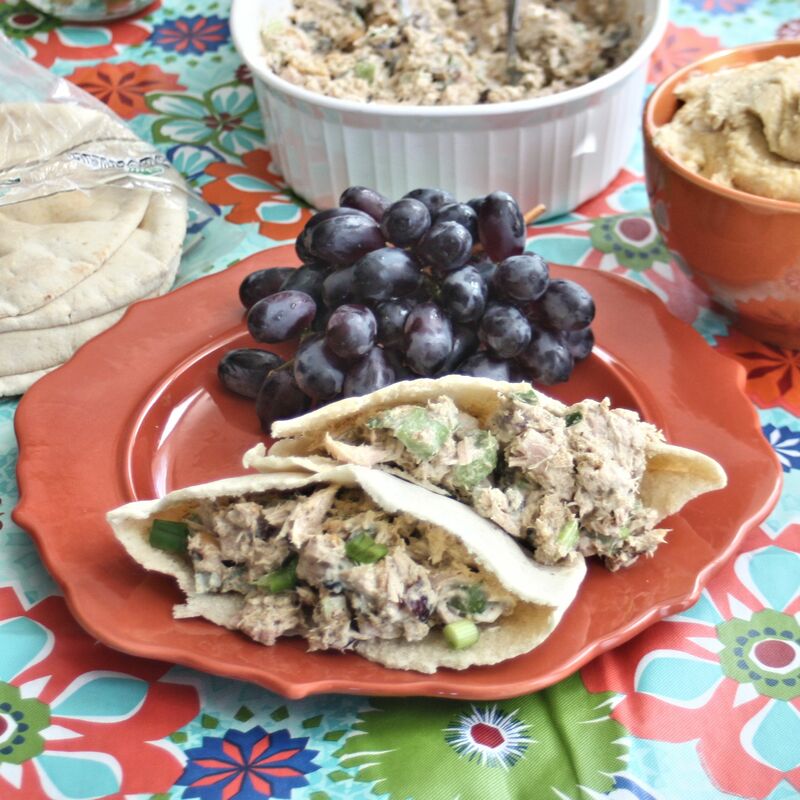 Stop on by – once you taste it I’m sure you will run out to find some for your spice collection! 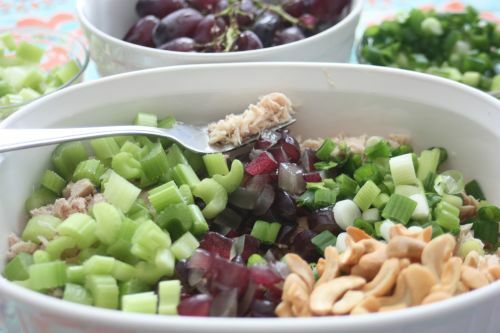 In a large bowl, mix together the tuna, cashews, grapes, celery, green onions, mayonnaise, and curry. Stir until well combined and them evenly stuff the pita pockets. Serve immediately.